Life with no electricity and living off the grid - could you survive? Taking away electricity means rethinking your entire day and planning how you can function without the means of simply plugging something in. No electricity results in a complete loss of normality. We are exploring alternative energy sources, living off the grid and how life with no electricity impacts us, to make you think, could you live without electricity? Living with no electricity might not be as easy as you may think and you not realise how many items in your home rely on it to function. Electrically managed technologies supply us with many things, such as heat, food, water, transport, energy, entertainment and communication. Electricity allows us to power the technology we use every day. If you plan on trying to live without electricity, you will no longer be able to turn on the central heating in your home, use the toilet, preserve food in your fridge/freezer or have clean running water. Despite surviving thousands of years without it before, we have come to depend on it to complete our everyday tasks and have built our lives around it. We are so reliant on electrical power that it would be a shock to many if you no longer had the regular supply. Some people prefer to not be so reliant on electrical energy and opt for an off-the-grid lifestyle, utilising alternative energy sources for their power. For many years, they were considered to be eco warriors and often eccentric with a different and extreme way of life, but it is becoming a popular choice for many. Then there are those who live and survive without any electricity at all. A 2010 report showed that there were currently 1.2 billion people around the world with no access to electricity. 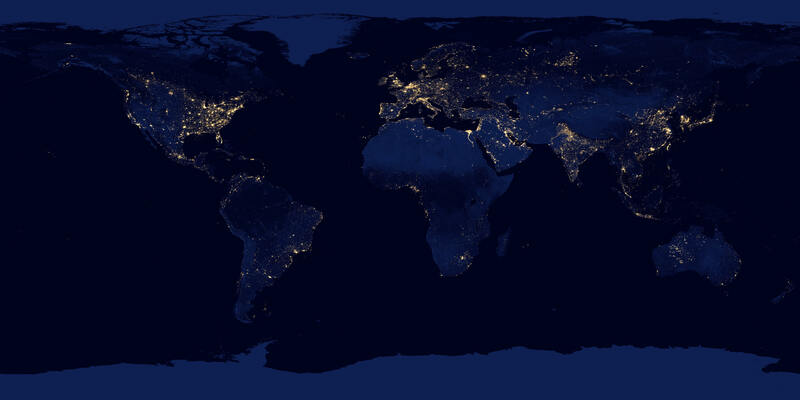 That is 17% of the global population living in the dark. A considerably portion of these people live in Southeastern Asia and even 173 million live in urban areas. Every year, thousands of families will experience power cuts due to natural disasters, bad weather or power line faults. A small storm that damages one power line can mean a power outage for hundreds of families and homeowners, causing total disruption in their daily routines. So how does having no electricity affect you? You will notice that you can’t turn on the lights in your home and that there is limited street lighting available. With dark evenings and no light to guide the path for us, it makes many vulnerable targets. There would be no power to use your fridge or freezer, telephone lines would be down and phone signal lost. Your mobile phones will be useless as the battery dwindles, with no back up charging option. Your gas central heating won’t work and your water supply would soon stop pumping clean water. It sometimes takes a lot for some people to realise that without electricity it isn’t just internet and Wi-Fi that is affected, it also means no cash machines, no lifts, no power to keep the factories going, and no petrol pumps. It is seen as the end of normality as we know it. Two critical things we need in our life are heating and water, and without electricity, these are both compromised. The gas central heating in our homes works with electric controls and circulating systems and pumps. Water systems are dependent on electrically managed systems and pumps, so even if water is still accessible in your home, you would still have to purify it before drinking. A poll revealed that 50% of the public said they would not be able to survive for more than 2 weeks without electricity, proving our dependency on readily available power. Of those polled, a staggering 75% predicted that within two months, they would be dead. We are all, in some way or another, dependent on electricity, and when that luxury is taken away from us, we are extremely vulnerable. This will only get worse with the introduction of new technology advances and the better the internet becomes. But what are other options? What can we do without electricity? A typical, every day home will be connected to the National Grid, which supplies power, gas, telephone lines, sewage systems and water. Going off the grid means changing your lifestyle and leaving this behind, in order to create your own energy and becoming self sufficient. In 2014 it was reported that there were between 75,000 and 100,000 in the UK and by 2016, there was over two million people in America who were choosing alternative off the grid lifestyles. There are many reasons why people are choosing to live without using the Grid’s electricity, whether it is because they desire a simpler life, or want to become eco-friendly in their energy use, or it could be they want to spend less money in energy bills. By living of the grid, you no longer are reliant on the grid to power items in your home, you are solely reliable for powering your own home. It is a chance for many to unplug from the technologically advanced world we live in and an opportunity to pick up and learn new skills and tools for living. Before splurging on an off the grid system, it’s important to calculate how much energy your home uses and work from there. Next, consider what resources are available for solar and wind (how much sun/wind your home gets), and how you will adapt your lifestyle for times when there is no power available. The overall cost for purchasing and installing a renewable energy off grid system can be expensive. However, with previous feed in tariff incentives and the lure of becoming self sufficient, many homeowners have taken the jump to alternative energy sources. Life without electricity in the modern era can be an adjustment and although it might not seem it, there is still so much you can accomplish without it and many alternative energy sources to choose from and install in your home. As for energy alternatives, the first that comes to mind is solar power. However, without electricity, most solar panels will not function as they first must feed the power generated back to the grid before it can be used to power your home. So if a power cut occurs, solar powered systems are essentially useless without a fully functioning power grid. You can opt for solar power systems that work off grid and use large battery banks to store the surplus energy generated. This can prove to be costly, but if you have the budget and want to invest, off grid solar powered systems are the easiest and most reliable route to go. Wind turbines are also a popular choice, and together with solar PV create a strong, reliable renewable energy system for your home. Solar and wind work well together in summer and winter, as where sun is lacking in the winter, the wind turbine will continue to generate power for your home. Hydropower is a great alternative if your property has a river, lake or creek on the land. Batteries are at the heart of any off grid renewable energy source. Without batteries storing the energy produced by renewable sources, your house would only be able to run on the power it receives in that moment. Those who opt for an off the grid lifestyle and generate their own renewable energy, will commonly install battery power banks to store the surplus energy produced. Battery power banks don’t rely on the grid and are unlikely to ever go down due to a power cut. With battery storage prices falling and a new invention from Tesla released (the Powerwall), it has never been a better time to install them into your renewable energy system. For those already living off the grid, they rely heavily on wood burning stoves and fire places for warmth, as well as cooking. They are a great source of heat for your home and it is easy to share the heat around rooms. However, it’s important to remember to stock pile dry wood for colder months. Other alternative heating methods include solar thermal and bio mass, which are all capable of supplying enough heat for a home. How would you survive with no electricity? Most people in the UK aren’t ready for life without electricity and what it means to be without essentials like a functioning toilet or clean running water. We take electricity for granted, with it being an ever present force in our everyday lives and we use it without even thinking twice. But with threats of natural disasters looming and super volcano eruptions nearing closer, is it time we gave it some thought? Managing your own electricity can be very rewarding, as you are not dependent on any electrical grid system, especially if such disasters strike and knocks the grid out. Those living off the grid are living proof it is possible that you can live without electricity, it just takes a few adjustments. If you enjoyed reading this, take a look at our guide to LED lighting and find out how the eco-friendly switch could help save money on your energy bills!